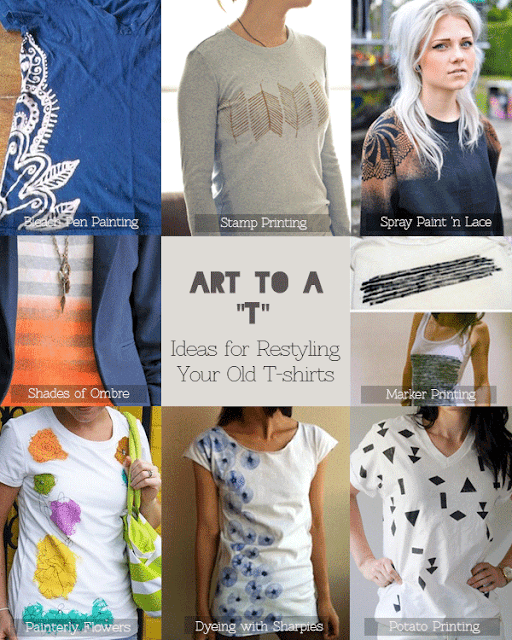 DIY - Restyle - Tshirt Makeovers-Art to a "T"
1. Bleach Pen Painting | love the painterly effects you get and really no "mistakes"
3. Spray Paint | no tutorial, just a doily and fabric spray paint will do the trick. 5. Marker Printing | using permanent markers to make bold graphic designs. 6. Painterly Flowers | no written tutorial, but images are easy to follow. 7. Sharpie Dyeing | bleeding Sharpie Pen ink marks with alcohol. We all have basic t-shirts in solid colours or at least black and white ones but sometimes you want to put your own stamp on the t-shirt you're wearing - literally. 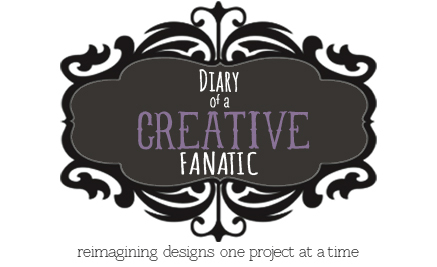 There are so many creative ways to personalize your t-shirt with the methods shown here. Try one on, it can become addictive.